Our Eden Project Guide suggests one of the best ways to save money is to book online with discounts of up to 10% off standard price entry plus options to upgrade to a FREE annual pass! To enjoy unlimited return visits to the Eden Project, simply donate your admission charges and they will reward you with a free annual upgrade. This gives you the option to return later in the week for those on a short break or later in the season for those living locally. To book go to Eden Project Tickets – save up to 10% plus free annual upgrade. Each year, you can pick up a copy of Gardeners’ World Magazine, (May edition) that includes a great 2 for 1 discount card. This discount card is valid at 400+ gardens around the UK, including the Eden Project, & is valid for use until April 2018, (some restrictions). Whilst this discount card can no longer be found in store, we’ll let you know when this offer is up & running again. TOP TIP; for those planning a trip to Cornwall look out for our Four Seasons Lodge at Hentervene Holiday Park for family accommodation just 2 miles from the sea! The Eden Project often teams up with 365tickets to run a range of cheap ticket offers throughout the year. Promotions vary during the season so worth keeping an eye on what’s running on the day of your visit for some great value for money offers. For current deals go to Eden Project Online Tickets – 365tickets. The Eden Project runs popular FREE weekend offers for those that work in particular fields of employment such as Teachers, Armed Forces, Youth Groups, Emergency Service Staff & Charity Workers. These offers tend to run during off-peak times and are only valid for those living in Devon or Cornwall. We’ll bring you more details when these run again this season. Always worth taking advantage of online ticket discounts of up to 10% off standard gate prices when you book online in advance. As online tickets also offer visitors the chance to upgrade for FREE to a full 12 month annual pass, this offers great value for money throughout the year. More details available at Eden Project – save up to 10% off standard price tickets. 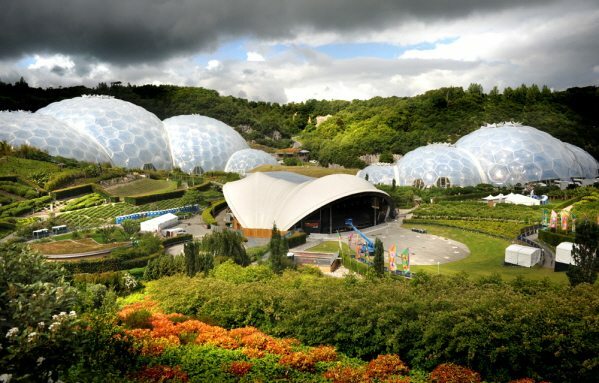 Follow our 16 Top Tips for the Eden Project to help you make the most of your visit to this popular visitor attraction in Cornwall. Not surprisingly the Eden Project is keen to support those looking to reduce their carbon footprint. If you walk, cycle or take public transport to the Eden Project you can take advantage of reduced priced entrance charges. Simply buy your tickets on the door to receive this discount and show a valid public transport ticket to gain your discount. More details available at Green Discount for the Eden Project. Look out for NEW attractions running within the Rainforest Biome at the Eden Project. 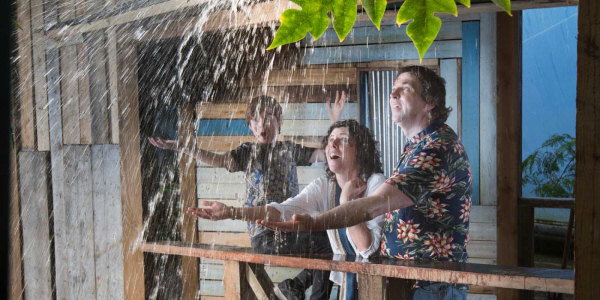 Explore the wobbly 23 metre aerial rope bridge across the biome, travel through the clouds within the fully-accessible Cloud Bridge before taking shelter from the tropical rain in the new Rain Shack. Find more information over at the Eden Project; What’s New? Blue Peter badge holders can pick up FREE entry to the Eden Project when accompanied by a full paying adult. This offer is only valid for children age 6 -15 years that hold a Blue Peter Badge & valid badge card. Worth getting creative for! More details available at Free Entry to the Eden Project – Blue Peter Badgeholders. The Eden Project runs a great value local residents pass for those whose main residence in either Devon & Cornwall. This offer allows local residents the chance to pick up an annual pass from around £15pp/£43 a family. Whilst this offer is not currently available we’ll update you further details when this deal is up & running again. Tesco shoppers can redeem their clubcard vouchers for entrance tokens that can be used at the Eden Project. This is a ‘buy in full’ deal offers an alternative method to gain free entry with adult, child & even concessionary rate tokens available to purchase. Guests using clubcard tokens cannot take advantage of the free annual pass upgrade offer. Book an evening meal at the Eden Mediterranean Terrace, (located within the Mediterranean Dome), and you can pick up free entry into the Eden Project. Whilst the rainforest biome will be closed, the gardens & Mediterranean Dome will be open during your visit. Each year local residents living in Cornwall or Devon have been able to take advantage of an Eden Project Summer Pass. These seasonal passes offer value for money for those planning a trip or two during the summer season. This offer has now expired but we’ll bring you more details as they come in for this season. 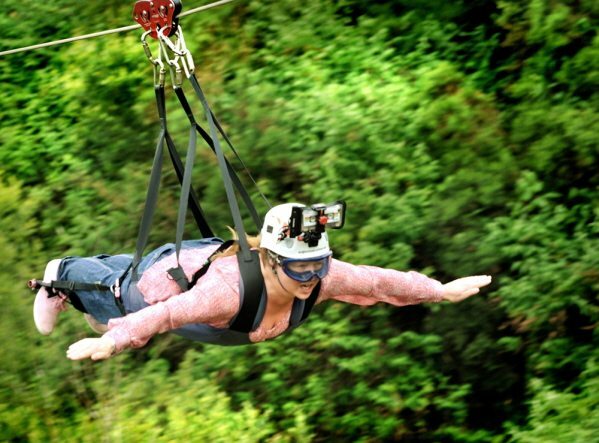 Thrill seekers should look out for the Zip Wire, Giant Swing or The Drop that are all located at the Eden Project. In previous years, the Eden Project has run a discounted late entrance ticket on select days during August. Tickets are available to purchase from 3.30pm & comes with the added advantage of avoiding the queues that build at the kiosks during the early part of the day. More details if this runs again this season. Remember to check out our Guide to the Eden Project packed with top tips & hints for those planning a visit this year. This entry was posted on Monday, January 1st, 2018 at 1:27 pm	and is filed under . You can follow any responses to this entry through the RSS 2.0 feed. You can leave a response, or trackback from your own site. Hi Trevor, yes the Gardeners World 2 for 1 voucher offer remains valid at the Eden Project. This discount card offers either one free entry with one full-paying adult or a 20% discount on a single visitor entry. Unfortunately this offer is not valid for events with a separate charge. The Eden Project suggest that before setting off, check the garden’s website or call direct, as opening details can vary and one-off restrictions may apply. Is there a discount for over 65? Hi Melanie, unfortunately I cannot see a senior discounted ticket for the Eden Project. However if you purchase a standard ticket, you can upgrade for free and enjoy unlimited return visits during the following 12 months. Alternatively if you’ve managed to get hold of a Gardeners’ World 2 for 1 discount card that were issued April/May, this normally includes the Eden Project too. I will definitely be coming back, its a great blog! are there any free weekend tickets for the police force in 2015. we are coming from south wales and are both serving officers. Hi Owen, often visitor attractions do team up with large employers to offer a discounted entry ticket although I do not have any specific information regarding the Eden Project. You are probably best contacting your employers directly to see if they offer any corporate discounts. Hi Hannah, Eden Project offer group discounts for parties of 10 or more that pre-book & travel by mini-bus or coach? If you live locally, you can take advantage of locals pass? There are discounts on tickets if you combine accommodation & tickets if you are planning to stay over? If you book online you can take advantage of cheaper ticket prices plus the chance to upgrade to a 12 month annual pass. We are 4 senior citizens spending a long weekend in Cornwall 17, 18, 19th October. Do you have any special offers on that weekend? Many thanks. We (6) are in cornwall w/c 21 Jan.
Are there any offers available ? Also what are the opening hours ? 1. Do you live in Devon or Cornwall? There is a great annual pass deal currently available for Devon & Cornwall residents for just £7.50 per person. 3. Order a back copy of Gardeners’ World Magazine, (May 2012 edition). This comes with a 2 for 1 discount card for over 270 UK gardens including the Eden Project. Whilst this card is valid until April 2013, there are some restriction on dates so best to check directly with the Eden Project before ordering a back copy. 4. Do you work for a charity or voluntary organisation? This is a long shot but last year during the weekend 20-22 January 2012, the Eden Project offered free entry to those working for a charity or voluntary organisation. It maybe worth a call to the Eden Project to see if there are any plans to run this offer again this year. 5. Do you plan to return to the Eden Project in the next 12 months? It can be worth paying full price for entrance to the Eden Project and gift aid/donate your entrance charge to receive a free annual upgrade. Follow our guide to the Eden Project packed with top tips & hints to help you get the most from your visit. Follow our 16 top tips for the Eden Project to help you enjoy your visit! Zip Wire above the Eden Project that is perfect for thrill seekers. Follow our guide to National Trust Membership offers including online promo codes, family membership offers and free entry deals. Did you know that English Heritage Membership includes up to 6 accompanying children, (under 19 years) FREE of charge?